Standard large frame portable light power plant Wanco 900 Watt Solar LED 30 Foot Telescoping Light Tower offers 20,100 lumens in a easy to setup large mobile platform. Power system includes manual on/off modes, three 300 watt solar panels flat array, four 12v DC batteries with 400A/h capacity, theft resistant battery box, battery charge controller, large extended front deck with raised platform trailer and 2 inch ball hitch and a 3500 pound axle. Add additional lights and battery capacity to really light up the night. This portable light power plant is the Wanco 900 Watt Solar LED 30 Foot Telescoping Light Tower Large Trailer offers four adjustable high-efficiency 50 Watt LED lights fixtures offering a combined 20,100 lumens connected to an easy to setup small mobile platform. The 30 foot telescoping light array rotates up to 350 degrees offering fully adjustable light fixtures. Power system includes manual on/off modes, three 300W solar panels, four 12v DC 4D AGM batteries with 400A/h capacity, heavy duty theft resistant battery box, battery charge controller 40 amp 27 volt, 2 inch ball hitch and a 3500 pound axle. Wanco portable solar towers light up a large area without a noisy engine or an external power supply. High-efficiency LED lights can be raised to 20 or 30 feet depending on the model. 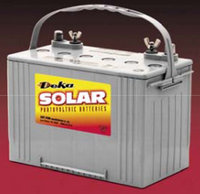 Choose the appropriate combination of batteries, solar power and lights for the performance you require. Four-light models can be expanded to eight lights in just minutes. Operating modes include automated dusk-to-dawn operation, among other settings. The energy-efficient lights on these light towers are powered by sealed, maintenance-free batteries, which are charged automatically via the adjustable solar panels. Portable and easy to deploy, setup takes less than 5 minutes by one person. Trailer: Tubular steel welded construction, Extended front trailer deck with raised step platform, Extendable Rear Bumper for Added wind Stability, Round Full Wheel Fenders that are Bolted to the Trailer Frame.